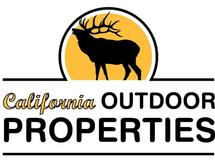 The 8940 +/- acre Keene Ranch is located in Kern County. Ideally located between Bakersfield and Tehachapi, the ranch is only a two hour drive from downtown Los Angeles. This ranch gives the buyer a plethora of options: A cattle ranch with oak covered grasslands, pine trees and year round springs; an equestrian dream ranch with amazing trails and beautiful valleys; a ranch teaming with wildlife, deer, elk, bear, quail, and everything in between. Or the ranch has the ability to be developed. The Southeast portion of the ranch borders the community of Golden Hills. The Northwest portion of the ranch borders the community of Bear Valley Springs. Access to the ranch is very convenient with paved road bordering the ranch for 3 miles.